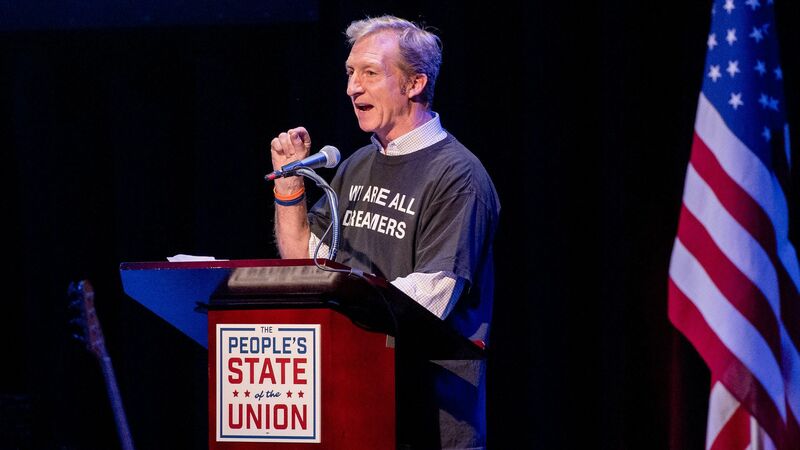 Activist and billionaire Tom Steyer is paying more attention to gubernatorial races, but he still feels strongly about Democrats taking back control of the House. "If we don’t flip the House it’s a failed year. Full stop," he told me over coffee while he was in Washington last weekend. Why it matters: Steyer is becoming the Koch network of the left, investing at least $110 million in the 2018 midterms and implementing on-the-ground teams in battleground states across the country. His Need to Impeach campaign puts him at odds with Democratic leadership, but he's got his finger on the pulse of what's going on at the grassroots level, thanks to his 2,000 volunteers and 1,000 staff members. While Steyer mentioned multiple times that he thinks Trump and the GOP are contributing to "an atmosphere of lawlessness," he was clearly sick of the Democrats who think it's best to avoid talking about certain issues, like race. "If we know 45% of people are voting [in midterms] that means 55% of people aren't voting," he said. "Why don't we tell the truth and see if those 55% who think the system is full of bologna ... might show up to the polls?" Andrew Gillum, the Democratic nominee for Florida governor who recently got an additional $2 million boost from Steyer, is what Steyer thinks Democrats should look like in 2018. "They don't need to vote for Republican Lite, they can vote for a real Republican. So we should be talking about race and ethnicity; we should be talking about gender. ... we should be talking about gun violence." Steyer's closing argument to voters before the 2018 midterms, he says, is simple: "It’s right and wrong. It’s a vote for justice or injustice."